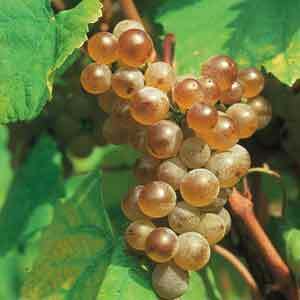 Pinot blanc is a white grape that is a genetic mutation of the Pinot Noir grape. In Alsace, Germany, Luxembourg, Italy, Hungary, Czech Republic and Slovakia, the wine produced from this grape is a full-bodied white. In Alsace, Italy and Hungary, the wine produced from this grape is a full-bodied dry white wine while in Germany and Austria they can be either dry or sweet. Bottles labeled Pinot Blanc offer fruity aromas, often of apple, citrus fruit, and floral characteristics.